Orthopaedic or Neurosurgical Training – What makes a good Spinal Surgeon? Spinal surgeons can be either orthopaedic or neurosurgically trained. Both can be good spinal surgeons. Classically, neurosurgeons are trained in the conditions affecting the spinal cord and brain whereas orthopaedic surgeons are trained in treating bones and joints, in the use of implants such as screws, rods and cages and also in understanding biomechanics and biomaterials. Both are able to be spine surgeons if adequately trained. The Backcare Charity have produced a pdf discussing the things you should look for and the questions you should ask when choosing a spinal surgeon. 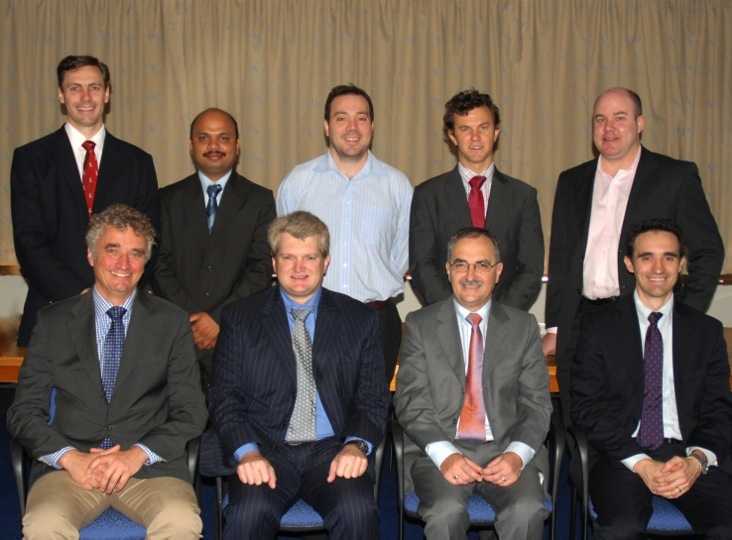 I spent my first year following the FRCS(Tr&Orth) at the Exeter Spinal Unit (2009/10) under Messrs Daniel Chan, Michael Hutton and Shahid Khan . I gained experience in all aspects of spinal surgery including deformity. This included the use of the dissecting microscope, technique of microdiscectomy and microdecompression in the lumbar spine, anterior cervical discectomy and fusion, anterior approaches to the thoracolumbar spine, the Harms technique for C1/2 fixation and the XLIF procedure. Prior to my Fellowship in Australia, I then worked for six months at the Spinal Unit in Taunton (2010) under Messrs Pradeep Madhavan, Paul Thorpe and Nick Steele. I continued to develop my skills in all aspects of spinal surgery in particular degenerate scoliosis, image guided pedicle screw insertion, iliac screw insertion, vertebroplasty, Magerl C2 screws and lumbosacral injection techniques. I spent a year in Brisbane Australia (2010/11) at the world renowned AO Spine Reference Centre. This was an intense learning experience with a steep learning curve. The first 6 months was predominantly adult degenerative surgery (led by Dr Richard Williams) and the second 6 months focused more on paediatric deformity (led by Dr Geoff Askin). I worked in both the private and public health sectors. The public hospitals being Princess Alexandra Hospital (AO Reference Centre) and the Mater Children’s Hospital. I assisted in surgery at both Mater Private Hospital and Brisbane Private Hospital. I was the principle surgeon in the Public Hospitals and generally performed half of each operation during the private cases. I was on call every other week for 8 months and for the remaining 4 months every third week. The on call commitment consisted of managing emergency cases at the public hospitals. The Spinal Injuries Unit in Queensland is located at the Princess Alexandra Hospital and I was exposed to a very high volume of spinal trauma. Of particular note during my time in Brisbane I gained experience in the techniques of endoscopic scoliosis correction, sublaminar wires, kyphosis correction, C2 pedicle screws, the Tomita procedure, pedicle subtraction osteotomy, en bloc spondylectomy, percutaneous pedicle screw fixation, translaminar screw insertion and use of the O-arm and biomodels. My Fellowship report was published in the British Orthopaedic News Autumn 2011. Following my return from Australia I then spent a further six months in Exeter (2011/12) prior to attaining my Consultant post in Cardiff.